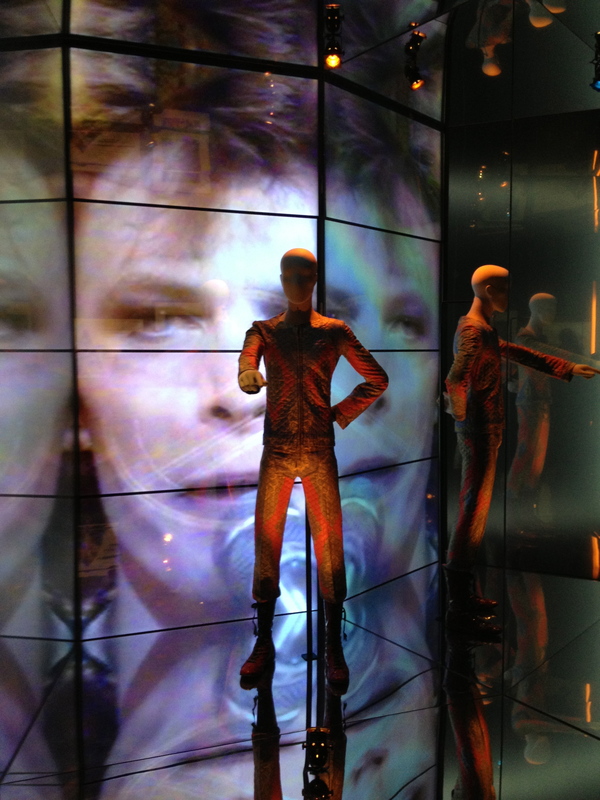 David Bowie is – which opens at the V&A this Saturday – is a breathtaking tour de force of sound and vision. From the company which brought us the animation and video projection design for the opening ceremony of the 2012 Olympic Games, this is a groundbreaking exhibition for a groundbreaking artist. The minute you step foot into the first room, wearing the specially created bodypack and headphones, a giddy catapult into an immersive multi-media experience ensues, bringing Bowie’s 50-year career spectacularly to life. 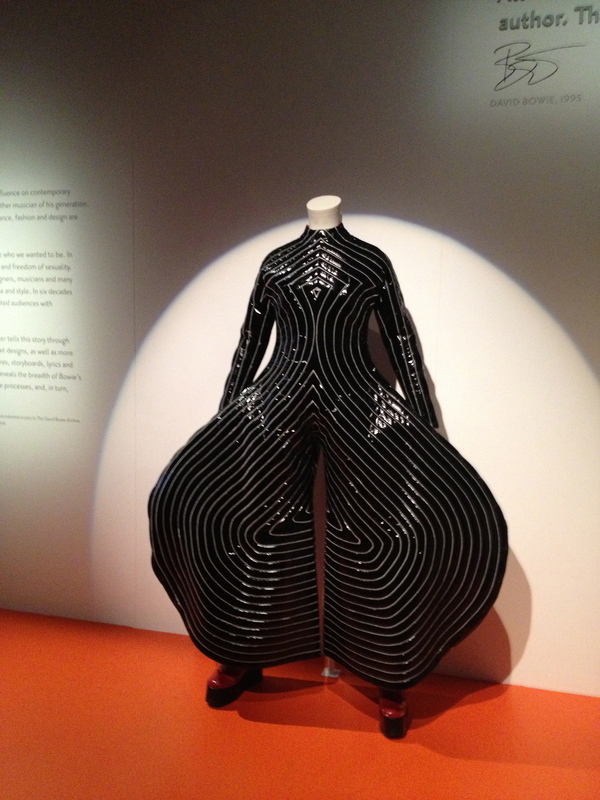 The V&A were given unprecedented access to the David Bowie Archive, and the curators afforded the rare opportunity of selecting more than 300 objects which have been brought together for the very first time, including: handwritten lyrics, costumes, photography, film, music videos, instruments, album artwork and personal items. For an artist whose eclectic range of influences stem from Surrealism, German Expressionism, the Beat Poets through to Cabaret, West End musical and Kabuki Theatre, this task must have been at times, nothing short of daunting. But the V&A have pulled it off; capturing the true essence of this cultural icon, musical innovator and radical individualist. It’s an exploration into how a quiet boy living in Bromley: ‘I was a kid that loved being in my room reading books and entertaining ideas, I lived a lot in my imagination. It was a real effort to become a social animal.’ could grow up to become Ziggy Stardust; a watershed moment which changed rock music and youth culture forever. Or ‘an emotionless Ayran superman’: The Thin White Duke. Or ‘the most beautiful clown in the circus’ as Bowie described his Pierrot costume for Ashes to Ashes. The fact that Bowie not only possessed the genius to invent and become these different characters, but to sustain the reinvention across five decades, and yet aways know the right time to move on to something new, is simply extraordinary. Bowie has always been the creative director of both visual and musical director of his work as he expressed in his Rolling Stone conversation with William Burroughs in 1974: ‘I have to take control myself. I can’t let anybody else do anything, for I find that I can do things better for me.’ This applies to the music, the album covers, costumes, stage sets, even through to the merchandise on sale on his tours.I found the insights into his creative process, particularly fascinating. How in the 70s, he used the cut-up technique – as did Burroughs and the Dadaists before him – to create a style of writing which in turn promoted a new perspective. He also used a bespoke computer program named the Verbasizer, that would randomly mix sentences into new phrases, which became a key creative tool in his songwriting process. Likewise, I was intrigued by the section dedicated to his Berlin period. Bowie spent 14 months in the city with Iggy Pop, Brian Eno and Tony Visconti. It was a place to clean up from drug addiction and explore new musical ideas. It was also a time to rediscover his love of art. Bowie painted this portrait of avant-garde Japanese author, actor and film director, Yukio Mishima, and hung it over his bed. The final part of the exhibition celebrates Bowie as a pioneering performer both on stage and in film. Giant screens fill the space projecting some of his most ambitious music videos, including D.A. 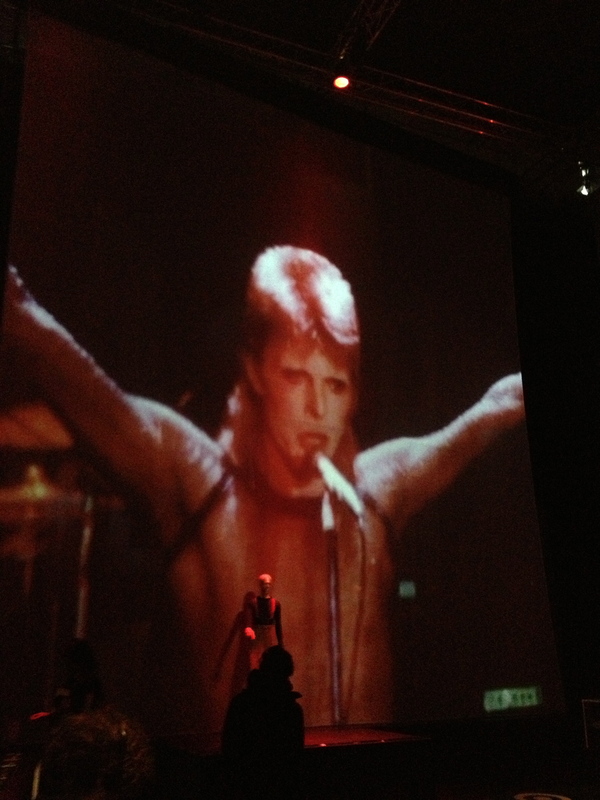 Pennebaker’s film Ziggy Stardust and the Spiders from Mars. This is definitely a place to linger. A sonic and visual treat. Last Chance to see Ballet Russes!